Hi to all lovely women! The summer season just begins. And it’s time to celebrate the hot chilling weather with the best lawn designs. I know that each and every woman in the world is curious about her dressing. She always wants something unique and beautiful as well. In summer season we search for different lawn brands. We try to find out the best as well as comfortable lawn outfits. Today I am bringing an amazing summer collection of the year. Khas Premium Designer Lawn Dresses Summer Collection 2017-2018 is all about the perfect summer wardrobe. It has been launched now and available at it’s all leading stores as well as online. With the slogan “Tum Khas Ho Boat Khas ho” khas is reaching towards all the khas women nationally as well as internationally. Khas is now included in the list of Pakistan’s top and leading fashion brands. They deal with men, women clothing, accessories, bags, jewellery, bedding, cutlery, decorative items, bathing accessories and much more. Khas presents its luxurious designs in its’s all major labels. It meets the modern lifestyle and everyday fashion needs. Khas launches seasonal as well occasional collections every year like spring summer, winter, Eid, etc. Talking about the premium designer lawn dresses collection; Khas brings the creative masterpieces. It has used traditionally as well as modern patterns along with impressive embroideries. 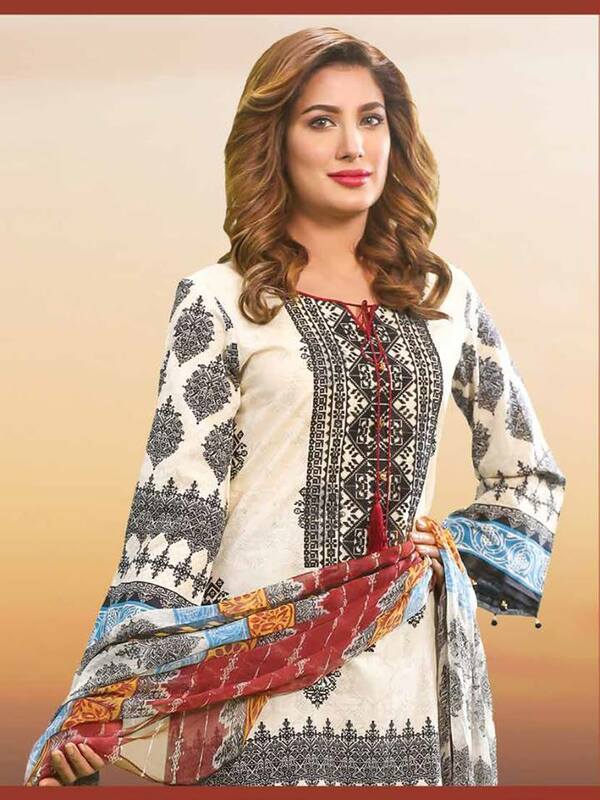 The famous fashion icon and film actor “Mehwish Hayat” showcase the premium designer lawn dresses collection. The Shirt pieces have beautiful printed and embroidered necklines, borders and front. The sleeves also have fabulous styles and adornments. The lawn dresses are paired with pure chiffon, silk and lawn printed dupattas. Bold and light shades are contrasted with each other to produce the trendy layout of colours. Lime yellow, sea green, beige, copper, hot red, purple, violet, royal blue, charcoal black, etc. The whole collection delivers newest fashion concepts and designs that fulfil the women needs and desires. You will love each and everything about this assortment. 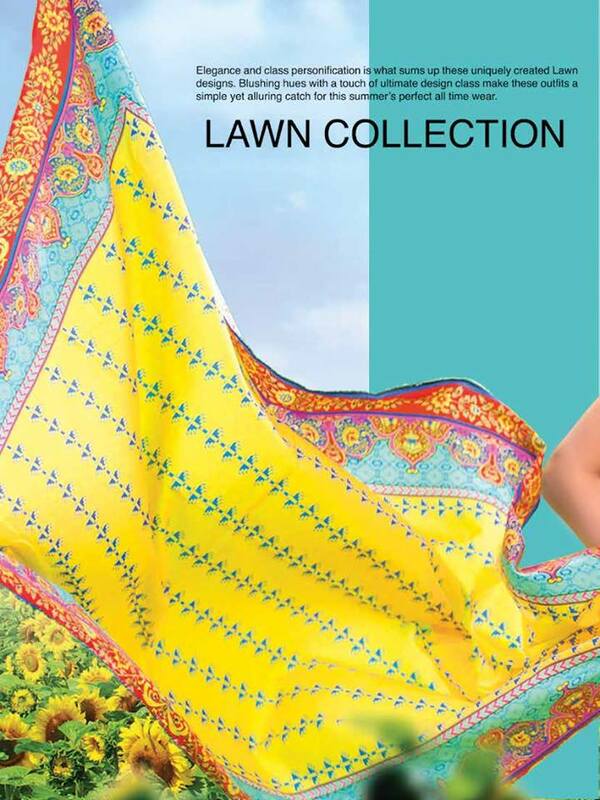 This series includes the deluxe and comfortable lawn suits with eye-catching prints. The modern blend of delicate embroideries and rich colour patterns have been the best part of this series. The digitally printed silk dupattas will blow your minds. Overall this assortment is a must-have to your summer closet. The price range for this dramatic series is 6,100/ 61$. Go to your nearest outlets and show your favourite piece before it stocks out. 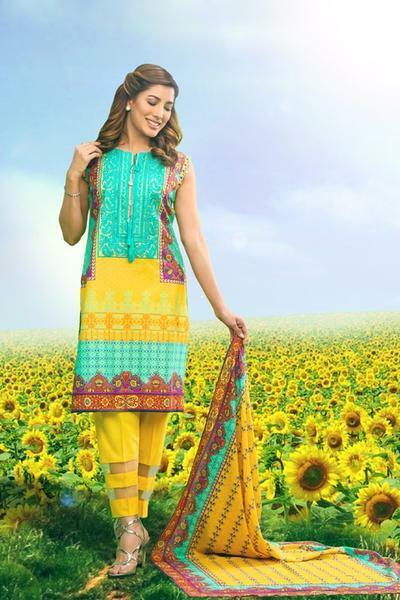 The Embroidered Lawn series includes the three pieces embroidered lawn shirt, dyed pants and printed lawn dupattas. The price range of this assortment is 2,200 PKR/ 22$. Have a look at the below-posted album and get inspired by the latest designs. The Embroidered Chiffon series consists of three pieces embroidered lawn shirt, dyed cotton pants and printed chiffon dupattas. The price range for this collection is 4,500 PKR/ 45$. The shirt may include printed pattern with embroidered patches and motifs. Have a look!